$75/hr. solo to $400/hr., quartet, plus travel. 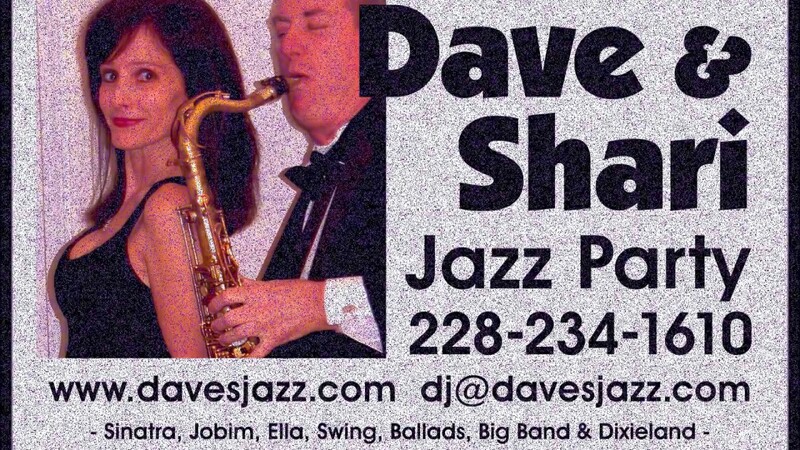 Book Dave Jones as a solo act, as a duo with singer Shari Pol, or with a small group. You will hear jazz in its many forms - Bossa Novas, Swing, Blues, Gypsy, Dixieland, Latin, as well as all of the standards from the American song book (song list is over 900 tunes and growing!). Book Some Fun! 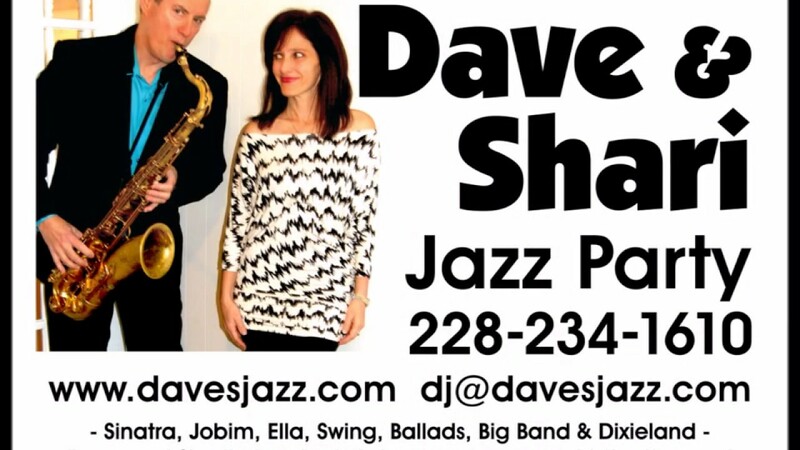 Dave's Jazz livens up your event and makes it memorable! Dave was absolutely amazing. Very accommodating and easy to work with. Our wedding guests absolutely loved the music. Thanks Kellys! It was a lovely wedding in a beautiful spot! Good luck to both of you! Price Range: $75/hr. solo to $400/hr., quartet, plus travel. 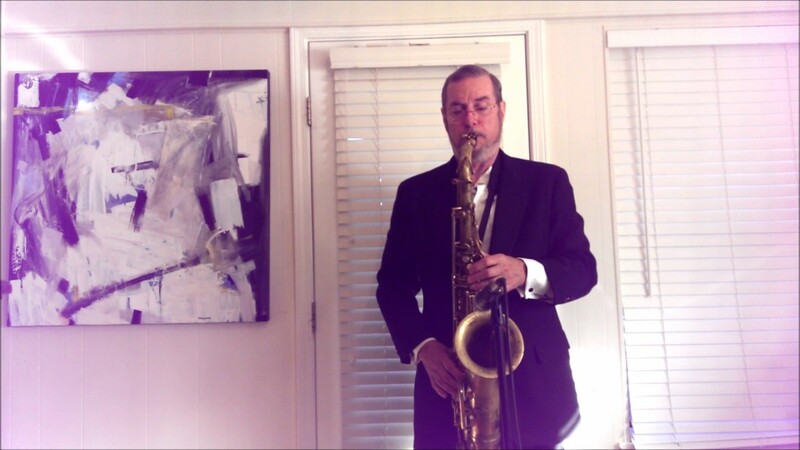 Dave plays from a library of over 600 American standards, Broadway tunes, early jazz, Latin jazz, Bossa Novas, BeBop, Blues and Ballads, all played close to the melody, and then improvised on in a captivating manner. Never too loud, and always with taste and a unique style. Dave's business practices start with communication and honesty, doing what he promises, and delivering the goods with good humor! Dave Jones plays almost every style of jazz: warm Stan Getz style Bossa Novas (Girl From Ipanema, Corcovado, etc. ); American Songbook standards made famous by Frank Sinatra, Ella Fitzgerald and others (It Had To Be You, etc. ); "Gypsy Jazz" hits, such as After You've Gone and Sheik Of Araby; Basie and other big band swing and blues tunes like Route 66 and Cute; jazz standards made famous by Miles Davis and others (Four, Blue Bossa, Take Five); and Classic Jazz ("Dixieland") favorites such as When The Saints Go Marching In and St. Louis Blues. 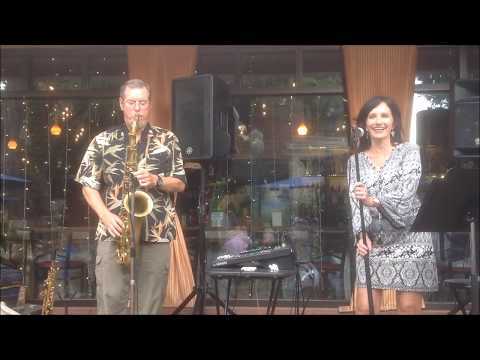 Dave also performs with singer extraordinaire Shari Pol, and can provide you with a full jazz band (with actual live people)! Dave has performed in the New England area, the San Francisco Bay Area, as well as in Mississippi. Recent clients include the Beau Rivage, IP, and Island View casinos; the Biloxi, Gulfport, Pass Christian and Bay Waveland Yacht Clubs; Gulf Coast Carnival Association and the Gulf Coast Chambers of Commerce. He's played with Mississippi musicians Eden Brent, John Horton, Knight Bruce, Raphael Semmes, Donnie Brown, Willie Willis, Dr. Gene Gaddy, Danny Enfante, Ray Zanders, Larry Keating and many others. References are available upon request. Dave's major influences as a saxophonist have been Dexter Gordon, Charlie Rouse, Stan Getz, Thelonious Monk, John Coltrane and Gene Ammons. He's also lectured on jazz and the lives and times of jazz musicians for both young people and adults. As a solo act Dave needs about a 6' x 6' square area to set up in, with one electrical socket, and likes to be in with the people! All other music and tv sounds need to be off, and people need to have fun! For a group gig (4 to 6 people) an area approximately 8' x 10' is needed. For a larger crowd (100 or more, dancing) a 1 foot high platform helps. Dave's major influences as a saxophonist have been Dexter Gordon, Charlie Rouse, Stan Getz, Thelonious Monk, John Coltrane and Gene Ammons.